Today I'm pretty excited to share my favorite wedding project - who am I kidding... they all feel like my favorite, but this is ONE of them for sure. 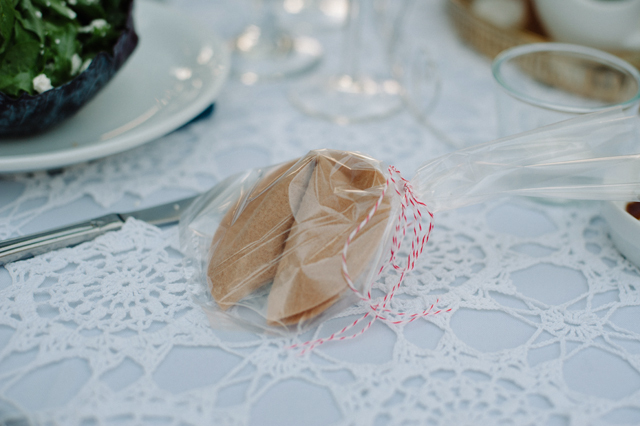 Candy filled fortune cookie party favors! 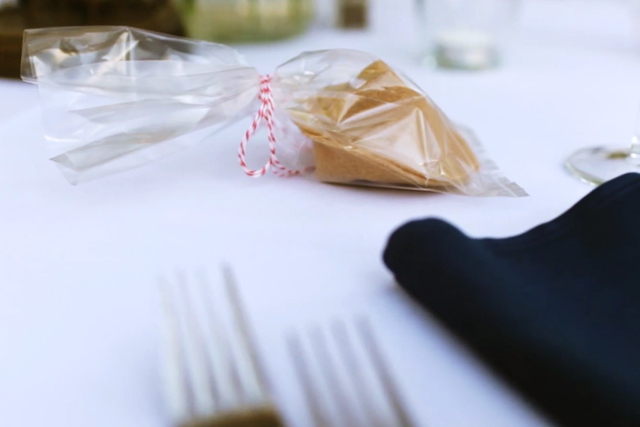 Since most of our guests were out-of-towners, Tim and I knew we needed party favors that were a) small enough to take home, b) not breakable or c) edible. 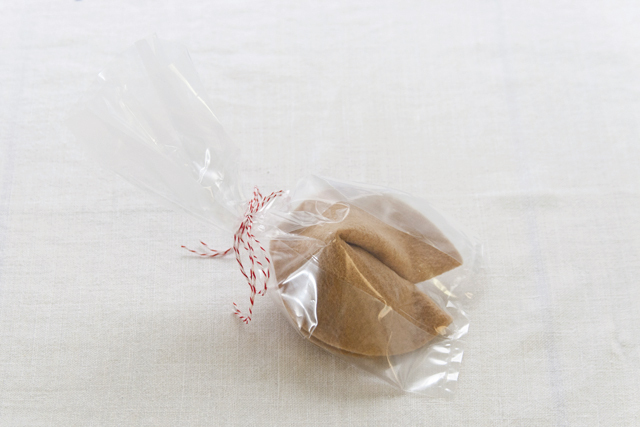 Edible seemed like the best option - everyone loves candy (and I refuse to believe otherwise) - but we wanted to make things a little more interesting.. why not package our candy in handmade fortune cookies?! Then we got to making! 1. 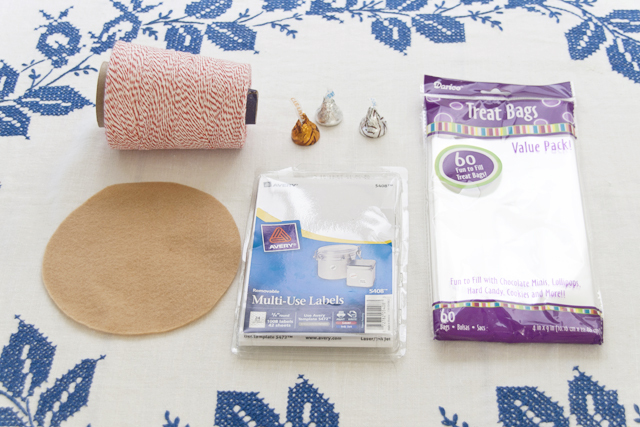 Cut out a felt circle. I used an embroidery hoop to trace my circles. 2. 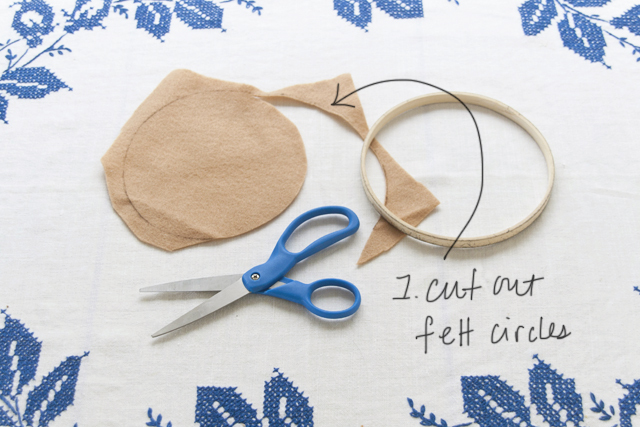 Sew the circle in half, leaving a little bit near the edge un-sewn. 3. 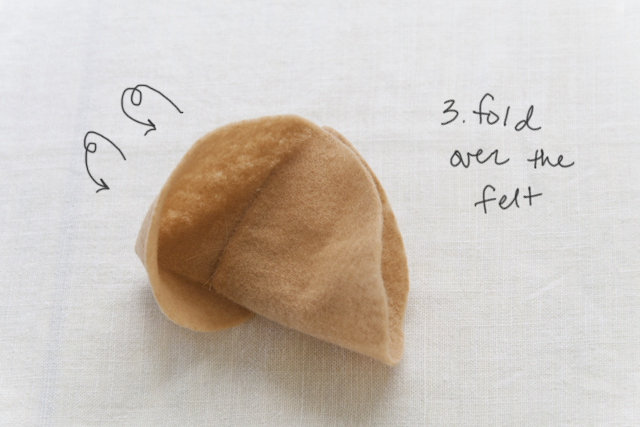 Fold over your felt. 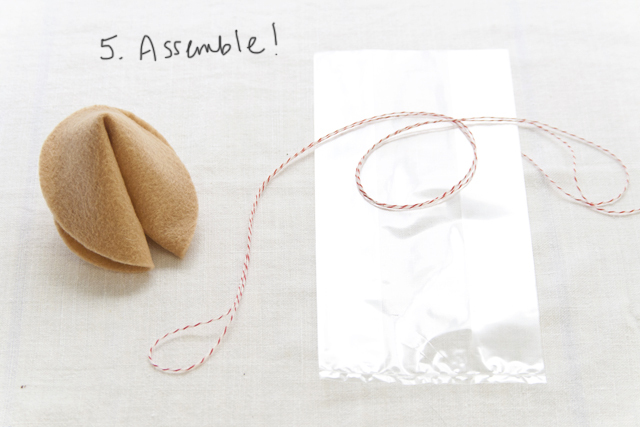 This might be the most difficult step to visualize or photograph, but I promise it works when you try it - it's magic! 4. 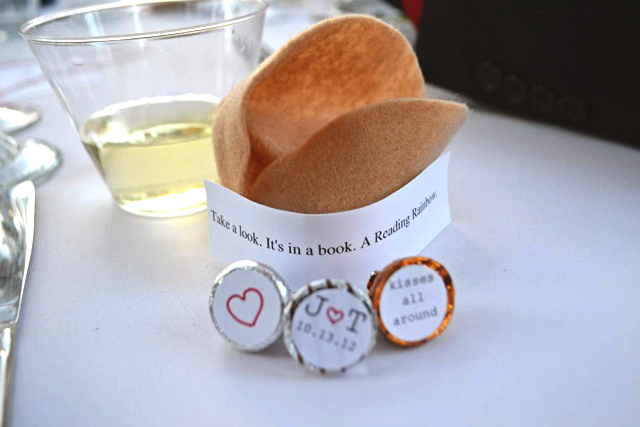 Print the fortune cookie sayings and cute messages onto the Avery Labels. 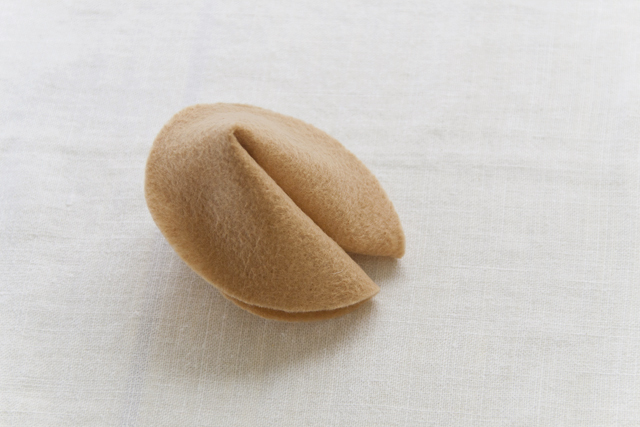 (We printed our fortunes on a light card stock paper so they felt fancier.) 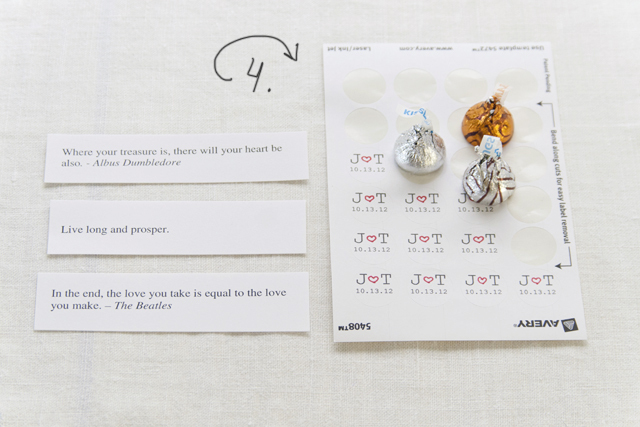 Then stick your labels onto the bottom of the Hershey Kisses - they're the perfect size! 5. The assembly process is next. 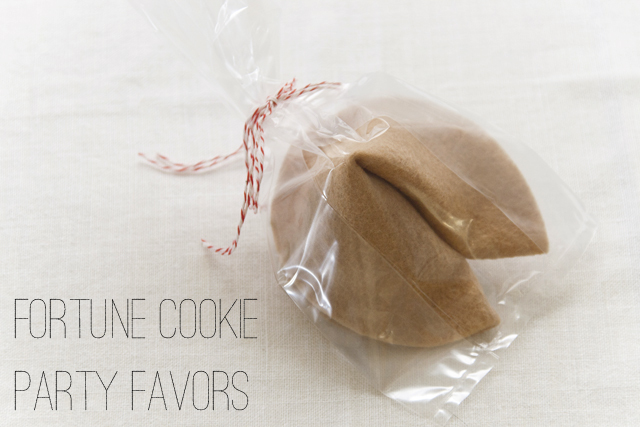 Stuff the candy and fortune into the cookie and stuff the cookie into the bag. Tie with twine. 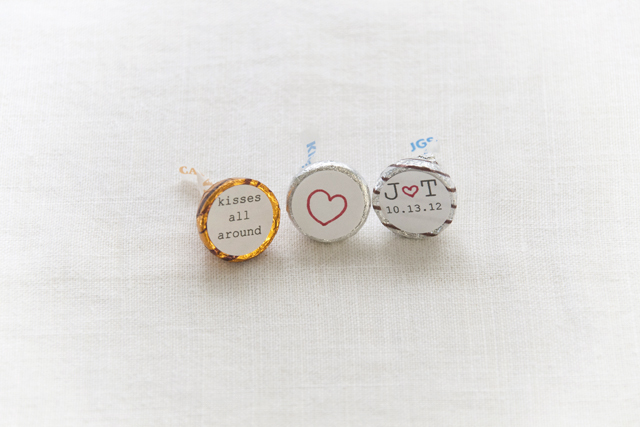 And there you have it - a very easy and affordable party favor. This next photo shows it in action (thanks Shannon! ).